A contemporary art gallery set in beautiful gardens with a fully licensed cafe specialising in Mediterranean vegetarian food. A curated cultural experience for lovers of art and food. Open this week Tue – Sat 11-4. This solo exhibition of exquisite paintings by acclaimed Manchester-based artist David Hancock is a must-see for anyone interested in painting. It features the artist’s latest body of work, in which he renders miniature, staged tableaux in a hyper-realistic style as he explores the boundaries between the inner and outer self, the digital and real worlds. As David puts it, he is attempting ‘to make palpable the psychological gap between the world that we physically experience and the psychological states through which it is apprehended’. Join celebrated artist Jake Attree for a workshop focusing on drawing and oil pastel. Weather permitting, the day will include some en plein air drawing of views from the city walls, as well as exploring with Jake the significance of Pieter Breughel’s landscapes. Jake’s residency continues this Saturday, 6 April. All are welcome to come and observe and also to interrupt! 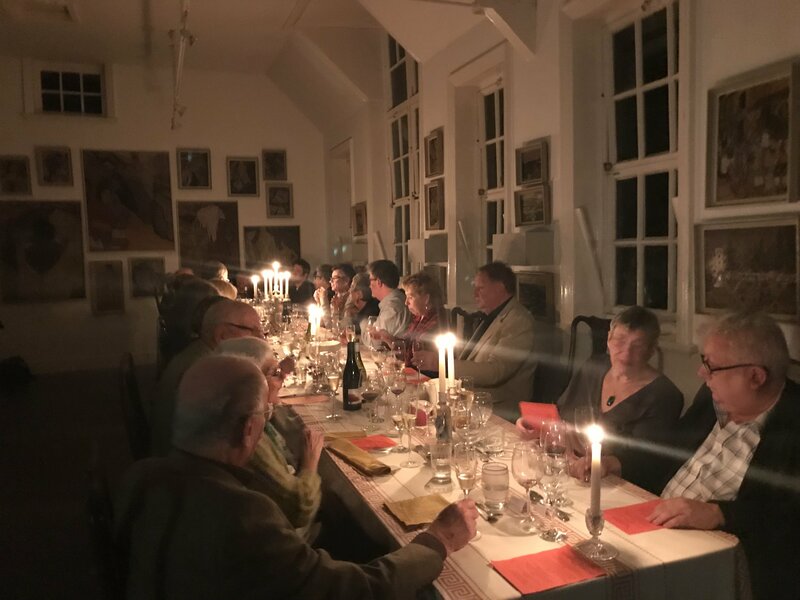 Our popular long table candlelit Supper Clubs continue this year on Friday 26April, when we will be joined by the artist David Hancock as special guest. Tickets are £30 to include a welcome cocktail and three courses – contact Robert to book (07766 656030). 16RPM is the new driving force behind the School House Gallery that celebrates the importance of slowing down and paying attention, applying the philosophy of the slow movement to all that the gallery offers. With a fresh team in the kitchen and a raft of upcoming guest chefs, 16RPM presents a daily lunchtime menu that is innovatively vegetarian, often Mediterranean and always delicious. 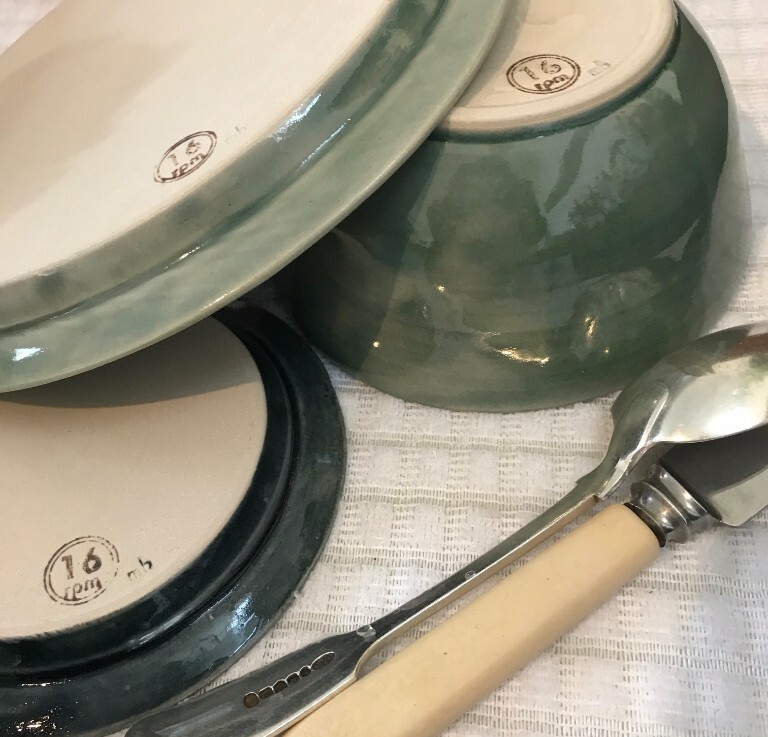 16RPM commissioned two new ceramics collections by Jo Davies (London) and Makiko Hastings (Harrogate) and these exclusive, beautiful sets of functional tableware can now be enjoyed (and bought!) in the cafe. Jo Davis has created a sumptuous white, hand thrown porcelain tea set with a gold lustre twist, whilst Makiko Hastings’ thrown stoneware is beautifully contained with an understated pureness of colour and form. Both sets are available to be enjoyed in the cafe as well as to buy. Talk to us about using our fabulous space for your special events and celebrations. 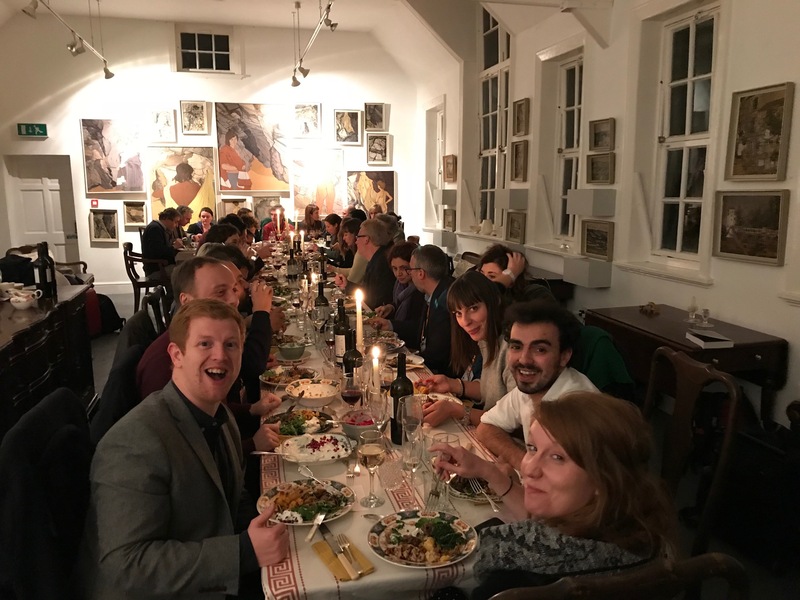 We can cater for intimate private dining parties (from 10 to 25 guests) or larger scale events, including Wedding Receptions. Paula Jackson and Robert Teed co-founded The New School House Gallery in 2009 and have curated over 50 exhibitions and projects across a wide range of disciplines and media, working with over 450 artists and makers. ‘The 21st century curator is a catalyst – a bridge between the local and the global… The possibility of enlightenment comes from embracing chance’ (Hans Ulrich Obrist). Such a relaxing place. A pot of Earl Grey, a piece of home-made cake, some interesting art works and Dave Brubeck in the background – I’ll definitely return!